RJ encourages communication between victims and offenders with the support of mediators. It helps all those who have been involved in a crime to have a better understanding of what happened, who has been affected, and to move forward in a positive way. RJ enables victims to express their feelings safely and for offenders to take responsibility for their actions and understand the impact of the crime on others. Restorative approaches are now widely recognised for their effectiveness in helping to resolve multi party disputes within the community, schools, families and in the workplace. 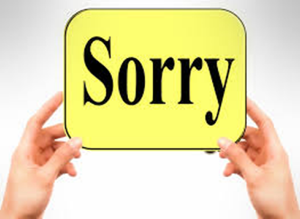 Saying ‘sorry’ doesn’t suddenly make everything better, however sometimes it can be a great way for someone who has been a victim of crime to heal and move forward. West Kent Mediation was contacted to mediate between an offender in prison and his last victim. The experience was heart wrenching and life changing. The process can take time before the victim comes face to face with the offender, with mediators facilitating the discussions. “Over many years and many crimes, I slowly dissociated myself from other people. I reached a point where I no longer cared about anyone but myself. Then through mediation I met the last person I had harmed. Life as I knew it changed. As I listened to them describe their terror and being able to witness their suffering when saying all this, all because of my actions, something inside me changed. I actually felt genuine sorrow for another Human Being for the first time in years. The fact that they were suffering so much because of my actions hurt a great deal and I felt ashamed. I am not saying that Restorative Justice has fixed me, as I still have a long way to go. However it has made my path clearer. I cannot stop myself from feeling for others and by choosing to deal with my own issues to behave in a peaceful and appropriate manner, I can avoid hurting others through my actions.